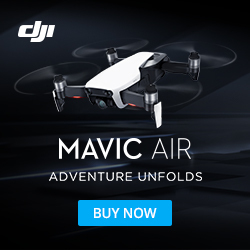 Who and What is Droneflyers.com? Basically, this is a hobby site tailored toward Beginners in the field of multirotor hobby aircraft. We focus on RTF and ARF (ready to fly or almost ready to fly) quadcopters and drones. Can I have a "Signature" on my post? The current setup allows a 2 line text signature with no links or images. We do not allow forum users to post affiliate links and other moneymaking schemes. Why do you call them drones here? Drones have a bad name in the media! We are not going to be able to change the English Language because we don't like a certain association! Everyone has their opinions on these matters- if the New York Times and the public calls them drones, then that becomes the default name no matter what we do here on these forums, etc. Personally, I think Aerial Robots is going to be one of future names. Wikipedia says (UAV's, Quadcopters are ) "commonly called a drone"
I'm not a crusader. Our mission is drawing in beginners and providing them with information to have fun, fly safe and learn things. "hobby quadcopters, aerial robotics, Multirotors, quads and drones" as well as defines UAV's, etc. Just as with the internet and computers, when people learn more they are likely to be more accurate in their descriptions. Summary: We at Droneflyers say a Rose by any other name would still smell the same. The public is using search engines to look for the terms they see, hear and read...and "drone" is one of them. 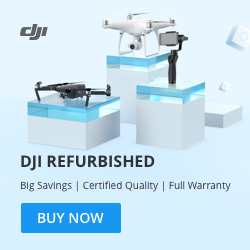 Are experts and more experienced members welcome at Droneflyers? But the caveat is that we'd want such members to be here mostly to help others by carefully explaining things (teaching!) at a level others can understand. Overly technical threads may be moved to a separate forum area because these conversation are not the main subject of our site! In general, someone who has been in the hobby for a less than a year or two! The other forums do a great job of answering very technical questions, but such things can intimidate newer users who need basic info. "the 2.4G IC is a 'NRF24LE1' and it appears to have an amplifier IC marked 2206 which I think is a 'UP2206'....looking at the spec's of the amp, max input is -8dBm which means the NRF24LE1 is probably putting out either -12 or -18dbm and the amp is listed as 28dB gain means it should be putting out somewhere between 10 - 40mW"